It’s always nice to be given challenge. 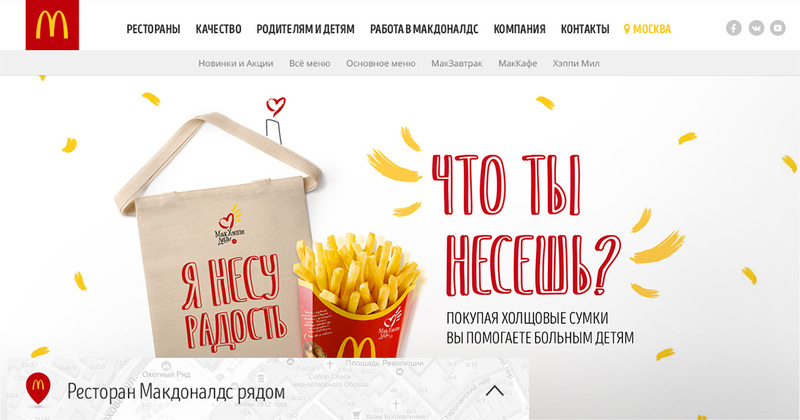 And this was a big one: To recreate the main McDonalds e-platform with a fresh focus on products and user-customized experience. We created an adaptive design for all screen types, embedded a geolocation system that offered quick hints about the nearest restaurant and an «Open Now» functionality, made it price-sensitive to a user’s location, and built a new, more powerful CMS system — editable from anywhere and offering the technical potential for roll out to other markets. Despite its complexity, our platform was particularly robust, allowing 170,000 user sessions a day with a 99.9% uptime.